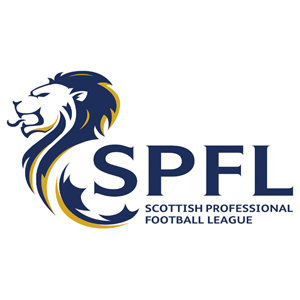 Scottish Professional Football League (SPFL) 2015-16 predictions, betting tips and previews. Aberdeen look to continue their title bid when they visit an in-form Motherwell side that have won their last three games to get themselves up into the top half of the table. With three defeats on the bounce, the last team Kilmarnock need to face is a Celtic side that are defending their title with Aberdeen breathing down their necks. Second-placed Aberdeen have reduced Celtic’s lead at the top to just one point and will be looking to turn up the heat further when second-bottom Kilmarnock visit Pittodrie. SPL leaders Celtic need to re-charge their batteries ahead of the Glasgow derby with Partick Thistle as Aberdeen are now breathing down their necks at the top. With both Hamilton Accies and Motherwell battling to keep themselves above the relegation zone, you can expect a few fireworks at New Douglas Park. Hearts are looking to make it three wins on the spin when they host ninth-placed Partick Thistle. Second-placed Aberdeen need a result against fifth-placed St. Johnstone if they are to maintain any pressure on SPL leaders Celtic. Hearts are looking to bounce back from a defeat at basement side Dundee United when they host struggling Kilmarnock at Tynecastle on Saturday. New Kilmarnock boss Lee Clark is looking to keep his side up in the SPL – kicking off with a victory over Dundee. Leaders Celtic are zeroing in on a five successive SPL title and boss Ronny Deila will look to avoid any slip-ups against visitors Inverness Caledonian Thistle.